Profile of an oriental dragon looking toward the west. 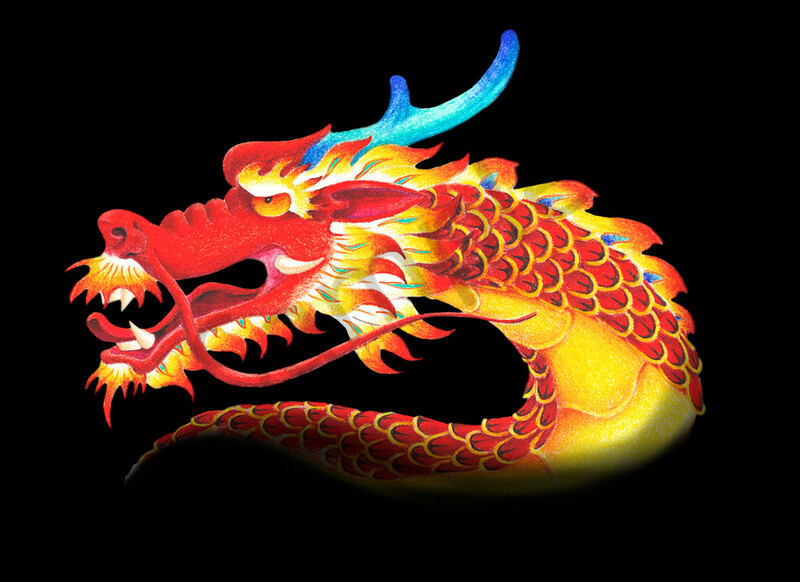 One of a pair, this is a dragon from the Orient; the familiar Chinese dragon. The matching dragon of the pair is a medieval dragon looking east.